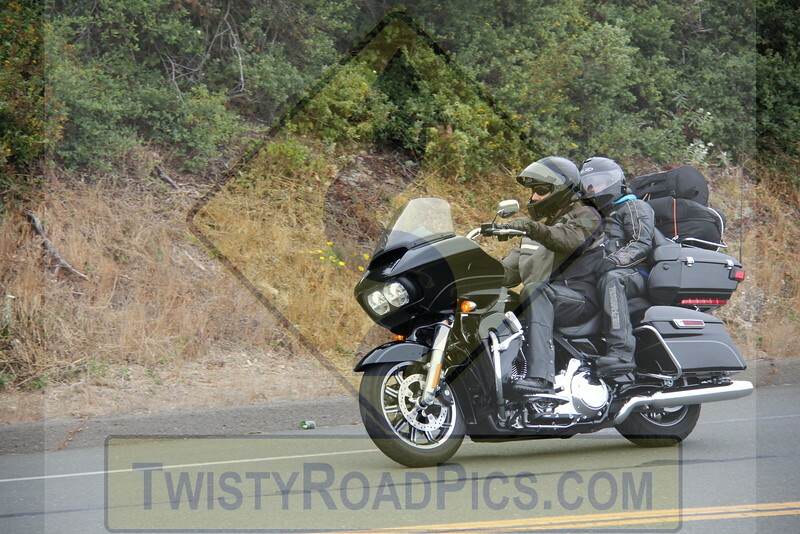 Welcome to TwistyRoadPics.com, your California source for photos and videos of you and your wheels. We're car and motorcycle enthusiasts and love getting great action shots of visitors and locals traveling on California's epic Highway 1 and other twisty roads nearby, as well as the people and vehicles at some of the premier automotive events along the West Coast. If you've seen me or one of our other photographers out on the road, use the Galleries and Search links to look for a shot of your machine. Planning on visiting the California Coast? Let us know when and where and we'll get back to you with our shooting schedule and locations. Tell us when you're having an event and we'll coordinate producing a special gallery for you! See you in the twisties! NOTE: Quite often I'm taking a burst of shots, so I may have alternatives to what you see here. Also, I'm taking hundreds if not thousands of photos each day and I don't post them all. Don't see yourself? Send me an email to ask. Thx!